This post was first published on www.parentwheels.co.uk in October 2010. We recently tried out the Britax King Plus Group 1 car seat with our 1 year old daughter. As a group 1 car seat it is forward-facing and is suitable from about 9 months to 4 years old. 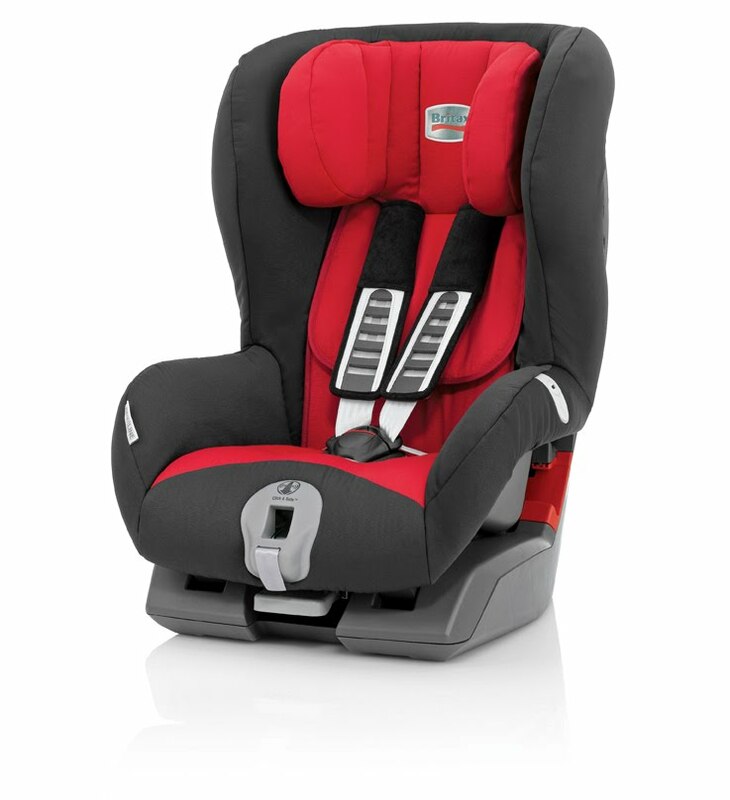 The Britax King Plus is not the funkiest of car seats – the grey base gives is an every-so-slightly 80's feel about it. It isn't all bells and whistles and is not even the most advanced of Britax's group 1 car seats but it is easy to use and represents the good quality and value for money that we have learned to expect from Britax car seats. All of the materials are of high quality, particularly the hard-wearing seat covers. The most impressive thing about the King Plus seat is its ease of fitting. The whole seat flips forwards from the base leaving you plenty of room to easily stretch your normal 3-point seat belt over the base and into the very clearly marked red slots which guide you. We managed to fit the seat on our first attempt (this is very unusual!) using just the label on the side of the seat which shows pictorial instructions. We then validated this against the instruction manual. We found the headrest on the Britax King Plus to be extremely easy to adjust to our daughter. It was a simple mechanism that required little explanation. The headrest offers great padding and impact protection. The straps on the King Plus threw us to start with as they extend from the middle rather than responding to a tug at the top like our existing car seat. We have found that Britax car seats do seem to have the most comfy-looking, thickly-padded shoulder belts around. One of the selling points of the Britax King Plus is the 'click' mechanism on the belt which 'clicks' to indicate when the belt is tight enough. I expected this to be a great thing to resolve arguments between myself and my husband on whether the belts were tight enough. Actually, I found it miselading – it seemed to click frequently, and often when I felt that the belt was far too lose. I think I am happier using my own judgement when tightening the harness. The Britax King Plus has quite a deep recline so that when you are travelling on long journeys, your child can be more relaxed. The recline function doesn't require you to take the seat out of the car so it is possible to recline the seat without even waking your child! The Britax King Plus car seat retails for around £179.99 but can be found at the major retailers such as Amazon, Halfords, Boots.com and Kiddicare for a little less.